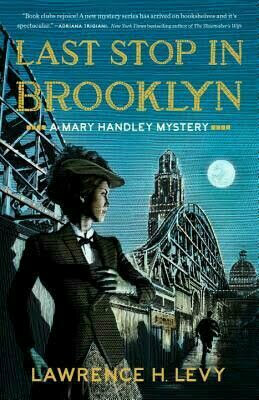 Its the summer of 1894, and an infidelity case has brought PI Mary Handley to a far corner of Brooklyn: Coney Island. In the midst of her investigation, Mary is contacted by a convicted man's brother to reopen a murder case. A prostitute was killed by a Jack the Ripper copycat years ago in her New York hotel room, but her true killer was never found. Once again it's up to Mary to make right the city's wrongs. This is the first time I've ever read anything by this author but as soon as I read what the book was about I had to know more , so glad that I decided to give it ago , and can't wait to read more of this series, it was non stop from beginning to the ever end. With that said I would like to think Blogging for Books for giving me a chance at reading and review Lost Stop In Brooklyn in a change for my honest opinion.